Google loves my old content, but I don’t blog anymore. My best advice would be to skip this blog entirely. Or wander over to my wedding photography portfolio, portrait photography portfolio, or take a look at examples of my product photography. If you want to know why I don’t blog anymore, check out my article titled Why I Don’t Blog and How You Can Stop Blogging Too. I’m a wedding photographer in Los Angeles and this is a busy time. I’m photographing weddings, editing photos, creating albums, and meeting with clients who are interested in booking me for their weddings next year. But I wanted to take a minute and share some of my thoughts about the new wireless remote system from Nikon. I’ve been using the Nikon D5, the Nikon WR-R10 / WR-A10 wireless remote system, and my Nikon SB-5000s for several months now and I thought it might be helpful to other photographers if I shared some of my thoughts on this system. Before I explain how these amazing tools all work together, I wanted to first talk about some of the individual components. 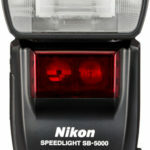 The SB-5000 is Nikon’s latest speedlight. When it was released, I replaced all of my Nikon SB-900 and SB-910 flashes. That means that I needed to purchase 5 new speedlights. Two were for on-camera flash, two were for off-camera flash, and one was for backup. 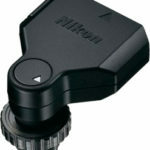 These new flashes work on all modern Nikon camera bodies. They’re great for photographers who are purchasing new systems or for photographers who need a replacement for older flashes like the SB-800, SB-900, or SB-910. This flash is a true workhorse for me—particularly when I’m photographing receptions in hotel ballrooms or working outside at night. The new Nikon WR-R10 / WR-A10 wireless remote system allows me to trigger my off-camera flashes wirelessly. In years past I used the PocketWizard FlexTT5 Transceiver and MiniTT1 Transmitter to trigger my remote flashes. Although the system worked well, I was never comfortable with the way the components were connected between the camera hot shoe or the stand and the flash. They were relatively bulky and the flashes seemed to be top heavy and somewhat wobbly with the PocketWizard devices. By switching to the WR-R10 / WR-A10 wireless remote system, I was able to have a tiny trigger on my Nikon D5 and the wireless receiver is built into the SB-5000 speedlight. Since I photograph weddings with two Nikon D5 bodies, I carry two WR-R10 / WR-A10 wireless remotes in a tiny ThinkTank pouch attached to one of my camera straps. This allows me to quickly access the wireless remotes whenever they’re needed. Besides being able to set up my cameras for off-camera reception lighting, at any moment I can remove a speedlight from my camera’s hot shoe and trigger it remotely. This means that I have off-camera lighting available at any time without the need to carry additional equipment other than what I typically already have on my person. For those Nikon photographers already using the D5 or D500, this combination is a must-have and a great addition to your wireless photography tactics. I promise that you won’t be disappointed. The Nikon WR-R10 / WR-A10 wireless remote system works with Nikon D5 and D500 camera bodies and the new Nikon SB-5000 speedlight. You’ll need all of that equipment in order to take full advantage of this new system. Connect the WR-R10 to the WR-A10 using the USB port provided on the WR-A10. Make sure that it clicks firmly into place. 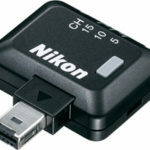 Connect the WR-A10 to the 10-pin port on your Nikon D5 or D500. Take note of the channel on the top of the WR-R10. The default is Channel 15 on both the WR-R10 and the SB-5000. If you need to change that value later, you’ll need to change it on both the WR-R10 and the SB-5000. press the Wireless Setting Button on the SB-5000 to cycle through the remote options and stop when the wireless symbol is displayed. The LED Link light on the side of the SB-5000 should change from RED to GREEN and the LED light on the WR-R10 should change from a blinking GREEN light to a solid GREEN light. I was recently reading a blog post on Cliff Mautner’s website and he shared some fascinating information about how to quickly control exposure levels on off-camera flashes without having to go to the camera or flash menu. Here’s how it works. When a Nikon speedlight is on a hot shoe and the flash is set to TTL or A and the camera is set to manual mode, you can quickly change the flash output by using the camera’s exposure compensation button. 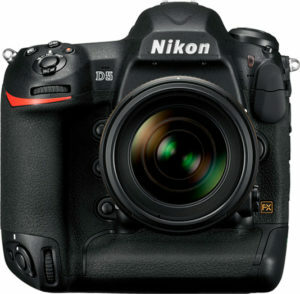 On Nikon cameras, that button is typically located to the left of the shutter button. This feature allows you to change flash power quickly in 1/2 or 1/3 stop increments. Remarkably, this feature also works with the Nikon WR-R10 / WR-A10 wireless remote system and the SB-5000 when the SB-5000 is positioned as an off-camera flash. Although you can certainly control the off-camera flash power from within the camera menu or the flash menu, you can also use the exposure compensation button if you’re in a hurry to adjust the flash power. Courtney stopped by my home studio in Pasadena today for a few portraits. We tried several different looks and outfits but these two headshots were my favorites. Portraits / Headshots – Cleveland Rapper T.L. VaNisha contacted me recently about a Los Angeles portrait shoot for East Cleveland gangsta rapper T.L. For those of you who follow my work, you know I’m all about photographing happy smiling people. But when T.L. told me he wanted to look hard, I put aside my jokes and shot him … hard. Continue reading Portraits / Headshots – Cleveland Rapper T.L. Posted on September 25, 2009 May 8, 2015 Categories PortraitsLeave a comment on Portraits / Headshots – Cleveland Rapper T.L.